CycloCat is a safe biking path net that can be ridden on gravel, cyclocross, MTB or road bike with adaptations. The aim is to share a safe mobility alternative in Catalonia. We got as reference other bike nets like the Belgium, the Dutch or the Italian with some adjustments. 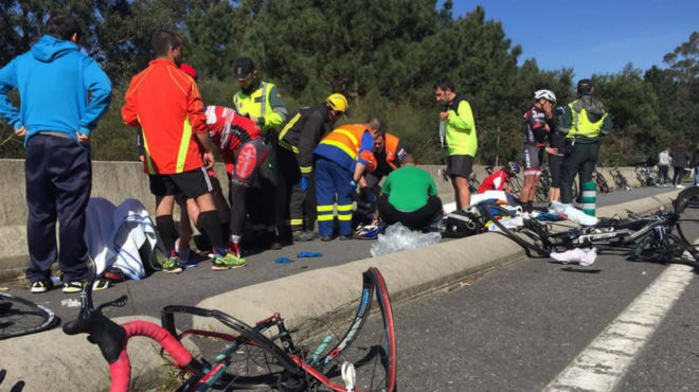 Cycling long distances in Catalonia is not easy. Relief is so hilly. When we did this net we have been always looking to gain the minimum height difference and give to the net a certain functionality. This is the main difference that you can find from the tracks here shared compared to other that you can find in Wikiloc or similar pages. Using this net, you could move in a easy and safe way around Catalonia even if it is a hilly country and despite of being highly populated. We also tried to join the most important cities and other interest points as well. Segment size is adjusted to cycling distances, looking for a balance between avoid too long tracks and changing constantly track when user is on route. We hope that this net will be useful for all kind of cyclist, from commuter to Sunday cyclist and from sport pro’s that want to train in a safe way to cyclotourists. Did you ever thought about going for a weekend trip leaving your car at home? The fight between bicycle and car in case of crash has a clear winner: the car has more mass and speed. Unfortunatelly, car drivers often are not aware of the killer potential of the machine that they are driving. Think about that most of the population is getting older and keep on driving, or that every year there’re more crashes related to driver distractions, or just that there’re more and more cars on the roads and are driving faster and faster (and not talking about alcohol and drugs while driving). 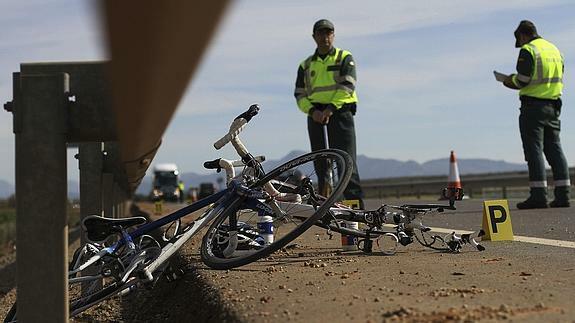 Because of that, in order to decrease the number of crashes with cyclists involved, it should be the minimum interaction with other way users: cars and pedestrians –> segregation of the road!!! Road shoulder is not a segregation barrier. Sometimes it is not possible to cycle on the shoulder and this force us to use the main line. Or even other times a vehicle could drive over those 1,5 safety meters (or the shoulder itself) and hit us. Road net is not done taking into account bicycles (it’s sad but true). Actions to adapt this net are not always following coexistence parameters between road users. That’s why it is a god idea to retrieve gravel paths. You will practice sport anyway (still if you could show up less about your mileage) and cars (if you find any) are going at low speeds. Here we recommend you ways, paths, roads, streets and riversides safe to cycle. When selecting the way of joining two nodes we took into account avoid as much as possible the usage of heavy used roads. Interaction between bicycles and vehicles in the proposed tracks is minimal, even if we are connecting densely populated cities. Think about that accident probability rise when someone is more exposed to risk. Risk zero doesn’t exist, but you can try to minimize it. Our grandparents cycled between cities already and roads weren’t always asphalted. Most of them were dirt gravel or cobblestones. In fact, some road races still use those cobblestoned paths (Paris – Roubaix, Tour of Flanders) or the retrieve it (Strade Bianche in Italy). Our grandparents cycled much more uncomfortable roads, but much more safer as there wasn’t many vehicles and those drove much more slower. Think about that a road bike can also go well on Strade Bianche, gravel or pave. You only need to mount wider tires and keep in mind that you will travel at lower speeds than a road bike on the road. The though about cycling this net with any kind of bicycle, optimal could be a cyclocross or gravel bike. fat tires and low pressure absorb impacts very well. Normally it comes with a suspension (front or full) that isolate us even more from the vibrations. frame geometry make our body to remain more vertical than in a road bike. This allow us to spend more time on the bike without getting tired of keeping positon. roll force: we don’t really need that huge adherence on gravel roads. Solution: mount slim tires and high pressures. weight/complexity: suspensions, wheel width, reinforced frames, wide handlebars, unnecessary gear sets, etc… it adds weight and complexity to the bike.